Officer Blayne Lehner, who was also the elected (by all those Good Cops trying to rout out the Bad Apples within the Twin Cities) director of the Police Officer’s Federation of Minneapolis, has been fired after being named in at least his second major lawsuit involving excessive force and civil rights violations within the past three years. In this particular instance, Ofc. Lehner brutally kicked a man in the face, who was already handcuffed and sitting in the back of a police car. Not surprisingly, in spite of the massive and undoubtedly permanent damage his attack caused to his victim, Lehner is not facing any sort of charges and his firing is the only sort of repercussions that will result. The most recent lawsuit was filed last August as a result of a traffic stop near this south Minneapolis coffee shop in December 2013. Lehner is accused of kicking 18-year old Luis Garcia in the face. Garcia was said to be handcuffed and in the back of a squad car at the time. It further states that Garcia’s injuries required multiple root canals, his jaw to be wired shut, stitches to his lower lip and severe lingering headaches. That’s quite the representative the police union has out there in Minneapolis. BTW, Lehner was the second cop from Minneapolis to be fired recently. 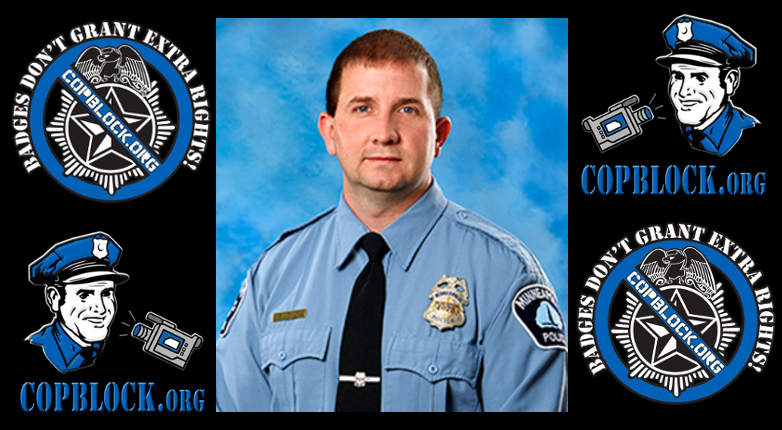 Previously, Officer Rod Weber was recorded on a suspect’s cell phone threatening to break his leg. The Federation is expected to fight hard to get both of these Heroes back into their magical uniforms as quickly as possible.